Beth Ann & Jessica's Helpful Savings: REI Outlet: Take an Extra 22% Off Keen & Marmot; Keen Shoes Up to 71% Off! REI Outlet: Take an Extra 22% Off Keen & Marmot; Keen Shoes Up to 71% Off! REI Oulet: Keen and Marmot items are an extra 22% off from now through 1/4/12. Free shipping with $50 minimum purchase. 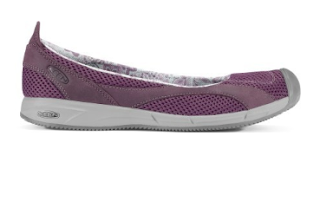 Below pictured: Keen Auckland Ballerina Shoes - Women's - 2012 Closeout, retail $85, sale $32.83, savings 61%. Use code XTRA22 for 22% savings and they're just $24.83, a savings of 71%!